In this interview with indianexpress.com, Nucleya talks about his new-age music, the Enchanted Valley Carnival (EVC) concert and how he started dabbling in Bollywood music. 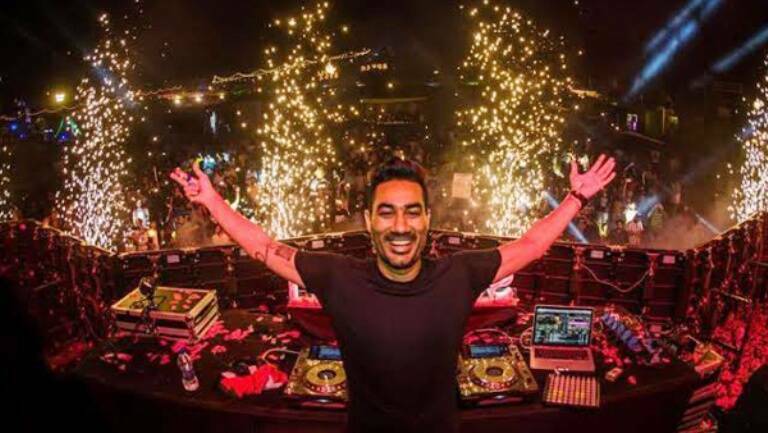 Nucleya, whose actual name is Udyan Sagar, is known for his genre-bending productions, combining EDM along with traditional Indian musical instruments and ambient sounds. 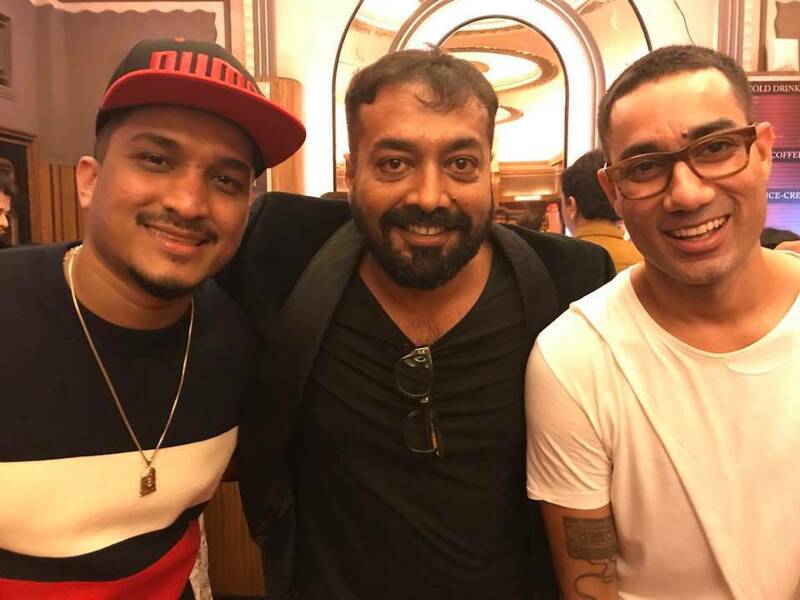 He recently created the anthem, “Paintra”, for Anurag Kashyap’s Mukkabaaz. He was also behind “Let’s Nacho” from Kapoor & Sons. 1. How does it feel to be associated with EVC? What expectations do you have from Mumbai? It feels great. They have been really supportive over the years and I am happy to be back playing for them again this year when they make their shift to Mumbai. The set that I have planned for Mumbai will be about 90% my own original music, a combination of older releases and newer stuff. The show overall has evolved quite a bit and features new visuals, SFX and hopefully some pyro. Also looking forward to playing out my new track “Paintra” which is a collaboration with Divine (Mumbai based rapper) for Anurag Kashyap’s new film Mukkabaaz. 2) How did Mukkabaaz happen? How was it like giving music to a film like that? One day Amit Trivedi called me and told me that Anurag Kashyap was trying to get in touch with me. I was really floored because Anurag is my favourite director and it’s been a dream to work with him. Anurag and I spoke on the phone and then I went to his house to meet him. He was unbelievably humble and welcoming. We got along really well. He described the movie to me and told me he would like me to work on a song for him. 3) How was it working with Anurag Kashyap? Anurag was really incredible in his direction for the song. The only direction he gave me was that the track should have a North Indian feel to match with the vibe of the movie. Apart from that, Anurag told me he really wanted me to bring my flavour to the song and just do what I do. He was really accommodating and gave me the complete creative freedom to take the song in any direction I felt I wanted to go in. The song is a basically about struggle and how you need to put in work to overcome obstacles and achieve your goals. It is a collaboration with Mumbai based rapper Divine. We just wanted to convey some of the same raw emotion in the track that you get when watching the movie. 4) You have also worked with Karan Johar on Kapoor & Sons. Both KJo and Kashyap are radically different filmmakers. What brief did they give you for their films? “Let’s Nacho” for Kapoor & Sons was actually a Hindi recreation of an older track of mine called “Tamil Fever”. I was not actually too involved in the production of that song as they already had my instrumental. For “Paintra”, I was heavily involved from the beginning with Anurag and wrote that track from scratch specifically for this film. So, they were super different experiences, but I really loved working with Anurag. 5) Independent artists like you are also going to Bollywood. Is it hard to keep going solo and keep competing with this monster called Bollywood? Absolutely not. I have never felt the need to do Bollywood from any financial, commercial or industry pressure. I worked with Anurag because he is my favourite director and we get along on a personal level. I think there is an incredible number of talented producers who are currently making a career releasing original music and not feeling the need to explore Bollywood at all. I think there is just so much potential for growth in the Indian independent industry that producers are much more interested in new territory than going by the rules Bollywood dictates. 6) When it comes to the Indian rap scene, do you think that audience knows very little about it as only a few are seen on the screen while there is so much talent around? I think the audience is much smarter and more informed than you are giving them credit for. The kids I meet at our shows all over the country are really in tune with what is happening in the underground hip-hop scene. The beats are universal and the words can be adapted to any language whatsoever. We already have rappers within India rapping in Hindi, Marathi, Kannada, Assamese and many other languages. I think this versatility is really going to lead to it spreading all across the country and to rural regions like no genre before. It’s going to be really competitive which is great because there will be no space left for mediocrity. 7) Let’s talk about underground rap scene. There are underprivileged guys, who are becoming YouTube stars by rapping. They deserve it. The internet is a great democratizer. It levels the playing field. It doesn’t matter if you are privileged or underprivileged, if you are talented then that is what shines through. Your talent is what gives you the advantage to grow. More often than not the artists from underprivileged backgrounds are the ones who will succeed because they have that willpower to succeed. They will put in the work and that’s what really counts. 8) I think Indian audience has a superficial knowledge of rap. What do you feel about it? You cannot blame the audience for this. All they know is what they have been presented so far. If what they have been shown to be rap is bling, money, bottles in the club and women, that is because mainstream Indian media and Bollywood has presented it as such. As people dig deeper into hip-hop culture, they will discover that it’s actually socio-political commentary and speaks about everyday struggles and community. That knowledge is not on the surface yet, but with the new wave of Indian rappers, it is coming.